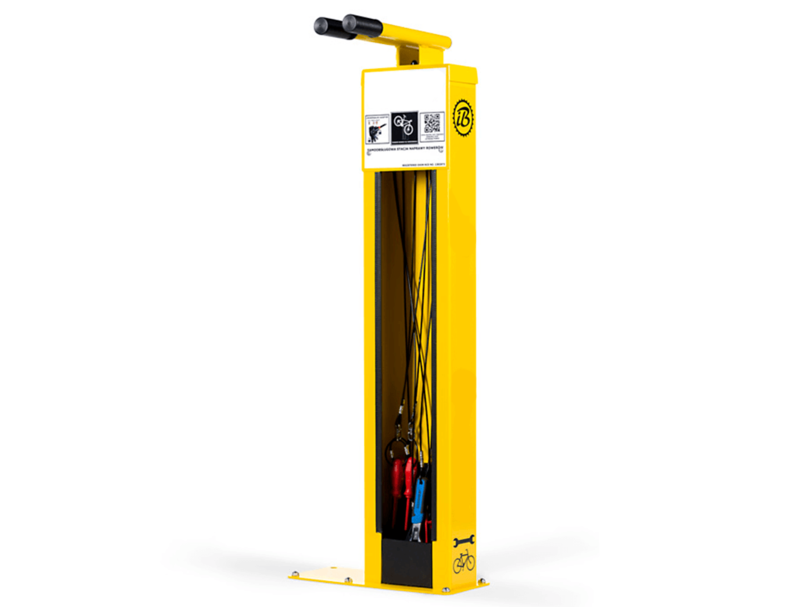 The Turvec heavy-duty public bicycle repair and maintenance stand provides a sturdy workstation for cyclists to make self-service repairs and tune their bicycles when they’re out and about. 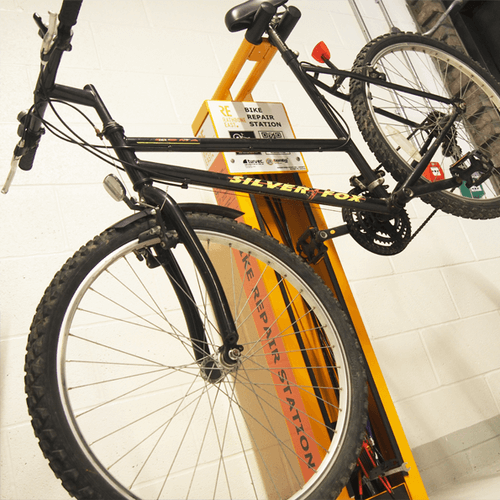 All the necessary bike repair tools are enclosed within the unit, and a lockable door is available for additional security, this prevents vandalism and protects tools from the weather. 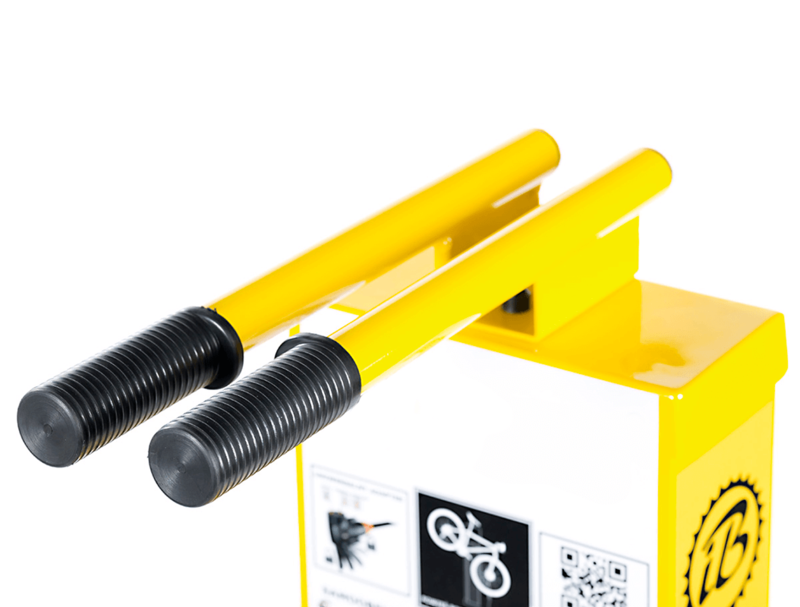 We also offer a different bike stand with an integrated pump. “Fab customer service all round. We ordered a cycle pump and incorporated our own branding free of charge, it looks fantastic and is a great addition to our on-site services. 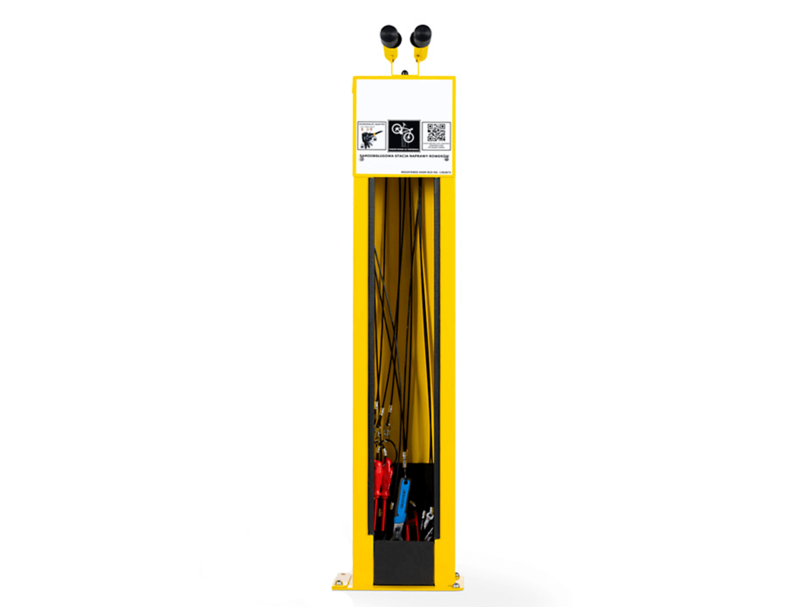 Our self-service bike repair stands are expertly assembled prior to delivery, and only require bolting into place before use. 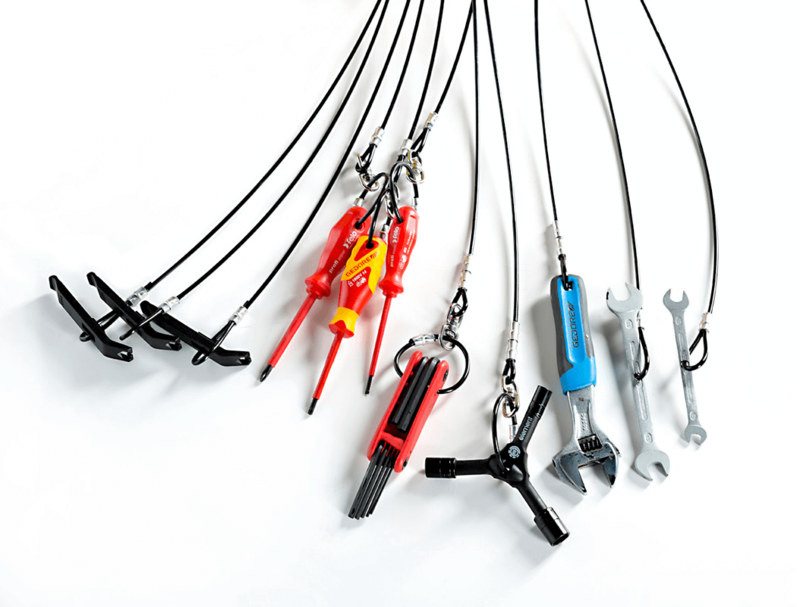 All of the repair tools are fixed to the cycle service station with plastic-coated steel cables and are immediately ready for use once installation is complete. We offer a full, quality installation service and our installers never cut corners. We can provide any concrete foundations required, as well as the installation of the unit itself. 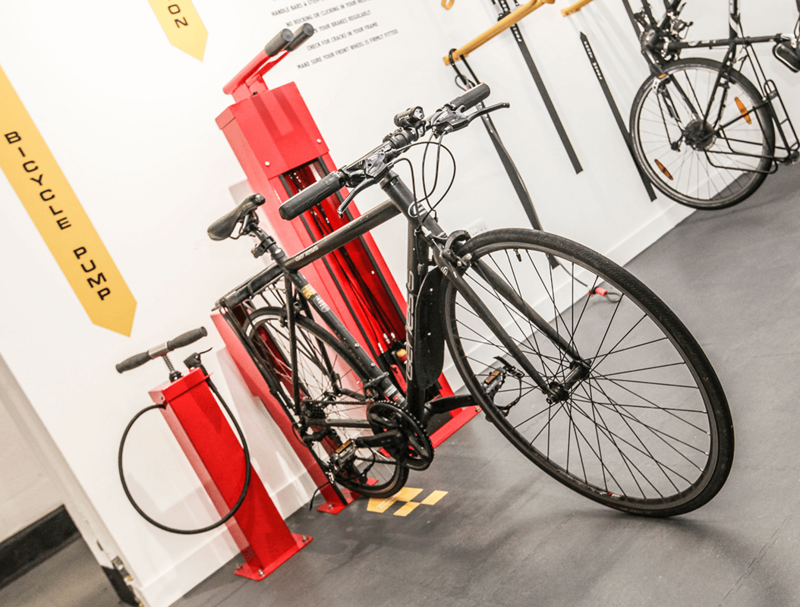 Along with advice on the positioning and layout of a bike service station within a facility, our design team also provide design for custom branding and can incorporate any graphic or logo onto a station. Speak to a member of our team to discuss your design requirements regarding a station or pump. We are happy to accommodate custom requests. 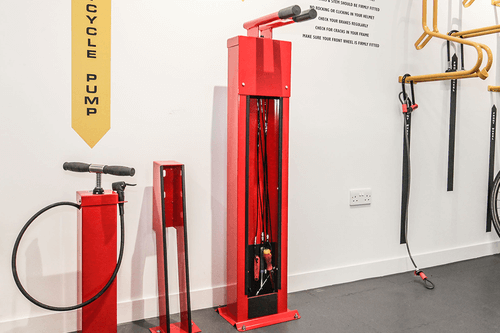 A range of bike repair tools come as standard with our commercial bike repair stands, but we are able to accommodate bespoke requests for specialist tools.